TEHRAN, Jun. 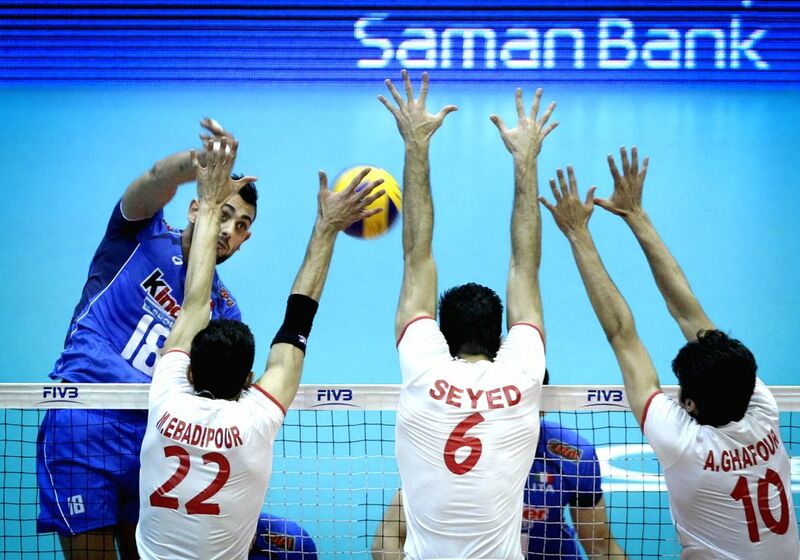 21, 2014 - Giulio Sabbi (L) of Italy spikes the ball during their match against Iran during FIVB Men's Volleyball World League 2014 at Azadi Stadium in Tehran, Iran, on June 20, 2014. Iran won 3-0.